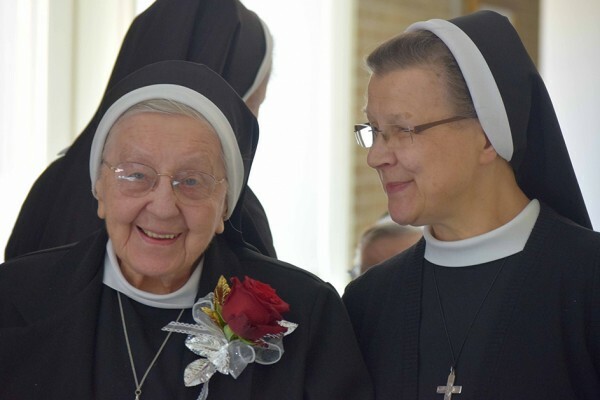 Spring is the time when our Sisters throughout the province celebrate their anniversaries of religious life. 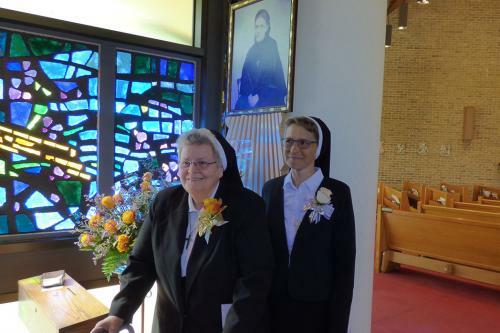 In April, we celebrated the Diamond (75th) Jubilee of Sr. Beata Czyl; the Golden (50th) Jubilees of Sr. Marguerite Therese Maguire, Sr. Mary Louise Swift and Sr. Yvette Ortiz, and the silver (25th) jubilees of Sr. Daniela Bronka, Sr. Francesca Witkowska and Sr. Margaret De Sales O’Connor. In our summer issue of Nazareth Connections, we will feature profiles of each of the 2018 Jubilarians. If you do not already receive Nazareth Connections and would like to subscribe to our tri-annual publication that features more in-depth stories about our Sisters and our mission, please visit Receive our newsletters. Click on the image below to see more photos.